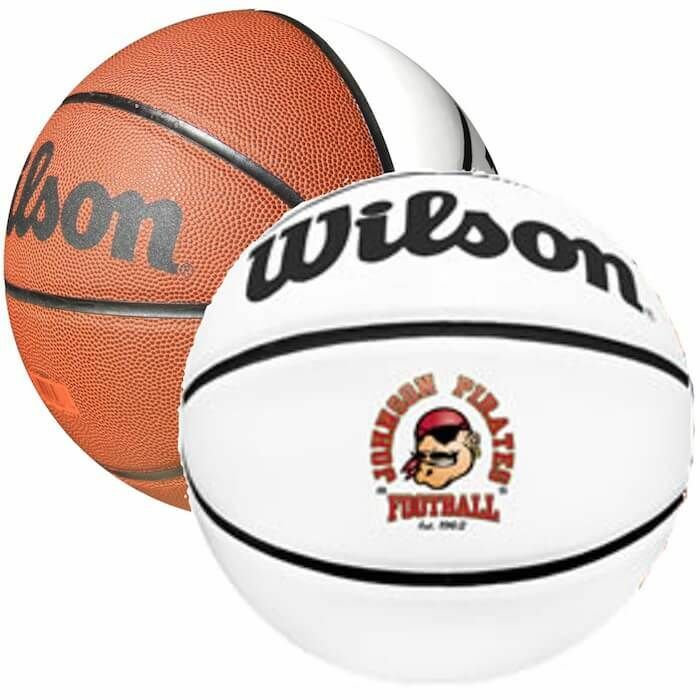 High quality Wilson® Premium Composite Leather Basketballs feature white autograph panels and a re-inflatable athletic valve. Production times are usually firm, but may vary depending on production schedules. Product Size 29 1/2" in diameter. Imprint Area 1-2 color imprint: 5" W x 2 1/2 H AND/OR 2 3/4" diameter; 3-4 color imprint: 4 1/2"W x 2"H AND/OR 2 3/4" diameter. Full Color imprint: 4 1/2" x 2 3/4" inside an Oval OR 2 3/4" diameter. Setup Charge $25.00 per color/side; Full Color Print: $35.00 per location.